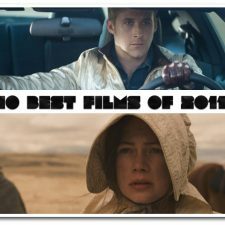 In the film Drive, director Nicolas Winding Refn and star Ryan Gosling have produced an ultra-stylish, high-octane neo-noir throwback that not only pays homage to its overt influences, but transcends most ideas associated with modern action films. Like the well-oiled, revved up cars featured so prominently in the film, Drive is a bold artistic statement on car chase films; it is meticulous, careful crafted and comes with a polished, high-gloss finish. Based on the James Sallis novel, Drive is set in a seedy Los Angeles landscape and features Gosling as a nameless stunt driver who moonlights as a heist getaway driver. From the film’s stunning opening car chase sequence, we are immediately thrown into the enigma and charisma of Gosling’s character. When Gosling’s boss and mentor Shannon (Bryan Cranston) involves him in a deal with gangster Bernie Rose (Albert Brooks) to financially back Gosling in a racing career, things get sticky. Ryan Gosling and Carey Mulligan star in DRIVE. Credit – Richard Foreman. Courtesy of FilmDistrict and Bold Films and OddLot Entertainment. Complications also arise when Gosling strikes up a platonic relationship with his neighbor Irene (Carey Mulligan) and her young son. Irene’s husband, Standard (Oscar Isaac) is released from prison and forced to do one more robbery by the guys that protected him while he was locked up. In an act of pure compassion, Gosling agrees to do one last driver job and help Standard so his family can be safe and start anew. 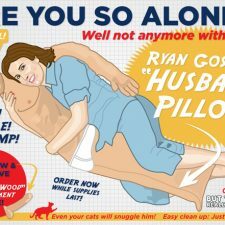 However, the job goes haywire and Gosling is left with a bag of stolen money and a contract on his head. 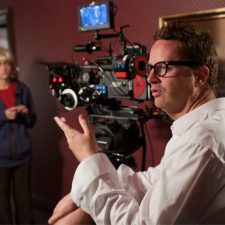 As he stated in many interviews, Refn is a fetish filmmaker. He makes films based on what he would like to see. Drive is perhaps the most fully realized idea of this concept in his entire canon. It’s entirely nostalgic and referential to its influences, yet wholly original. Visually, the film is bold, striking, and gorgeous; it paints its seedy Los Angeles settings as an overwrought neon-bled afterthought. Thematically, the story is classic tale of the bold, stoic hero whose intentions and characterization are heroic. The villains are entirely villainous, the girl entirely innocent. And that is what makes the film work so well. The classic archetypes portrayed in the story plays well into Refn’s revisionist approach. At times, the emotions of the characters are very intimate and is masterfully contrasted with sporadic and intense bouts of extreme violence. 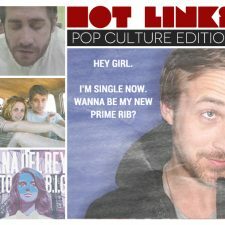 As a leading man, Gosling has a well-established and acclaimed career. Yet in Drive, he takes his range to new highs in a performance that may be his best yet. As a nameless character who has perhaps a total of 50 lines in the film, Gosling is pitch-perfect in using his body language to characterize his character. Though films with ensemble casts don’t always produce the greatest results, Drive’s supporting characters all bring out the best of their acting abilities. While Mulligan, Cranston, Isaac, Ron Perlman, and Christina Hendricks all provide great scenes within the film, it’s Albert Brooks who really shines as the deeply emphatic villain. The scenes he shares with Gosling are some of the film’s best, and I’d be short-pressed if he doesn’t receive an Oscar nomination for this film. Drive is a boiled-down character study that defines its characters so traditionally, that there are no moral ambiguities debated by their actions. Refn has created a new archetype of how action films should be made, and established himself as one of today’s most intrepid and audacious auteurs. Featuring a catchy electronic Euro-pop soundtrack that cleverly works its way into the narrative, stunning visuals, and a stellar cast, Drive is a monumental cinematic achievement that is sure to live on in the canon of great films. 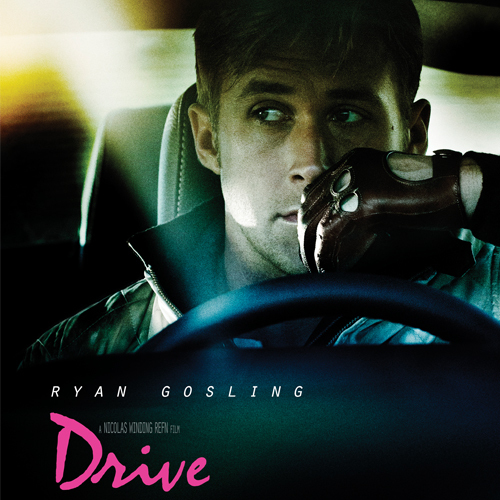 Drive opens today in theaters everywhere, click here for theaters and showtimes.